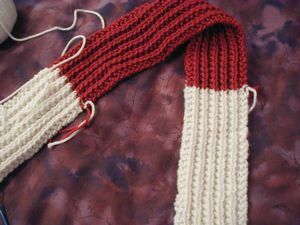 A shot of the red and white scarf I started last week – not entirely sure I like the blocks of colour (it’ll be white-red-white-red-white), but it’s still soft and snuggly! And quick, too. 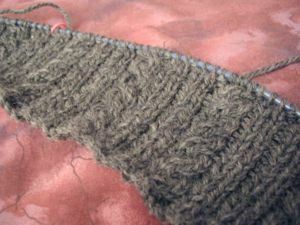 I’m using the Peruvian Collection Highland Wool from Elann, and the little cables in the ribbing aren’t popping very well. I hope the cabling on the sleeves shows more – those are against more reverse stockinette, so I’m just hoping for the best. I don’t really want to buy more yarn for this. Let’s see, what else…the back of the Must Have is finally blocking, but the fronts will need to be blocked separately (I just don’t have any space). I’m taking the finishing pretty slow on that one – since I still don’t have buttons, there’s no need to rush. I’ve been thinking I need some tall socks! Cari’s are gorgeous. I was contemplating making some with the Fleece Artist merino I brought home at Christmas, but that would just take forever. 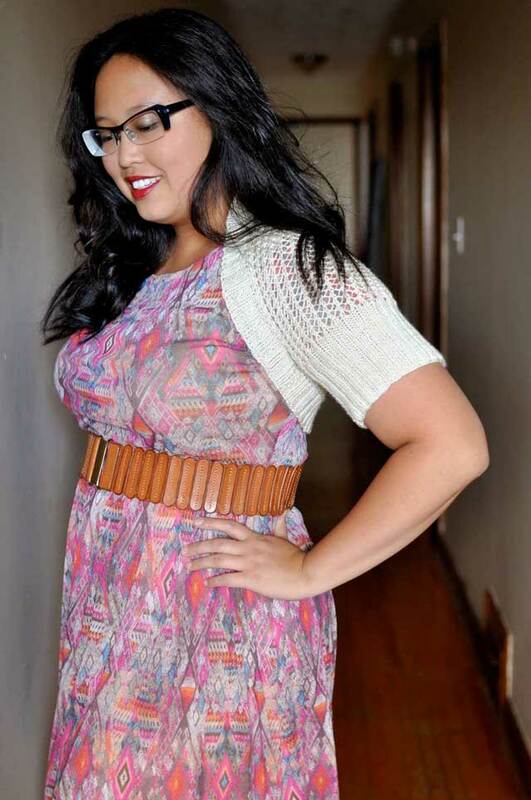 Plus, I don’t think I want to make them wool…I want to be able to wear them when it’s warmer, too. That brings me to Elann’s Esprit Print, their Fixation ripoff. It stripes, and I quite like the “Shades of Grey” colourway. I still haven’t gotten my package from redbirdknits yet. I’m getting worried. I’ll give Canada Post a few more days, though.